The Ashes was won in style……… for ages, Australia have brazenly adopted their ‘winning is the only thing’ approach – have tried to tame opponents by bullying them, sledging them and whatever is possible … it need not even be International arena….during the Big Bash - Shane Warne was suspended for a match and fined $4,500 after being found guilty of three of the four misconduct charges arising from his Twenty20 Big Bash clash with West Indies allrounder Marlon Samuels. The 43-year-old Shane Warne was found guilty of making “inappropriate and deliberate physical contact” but was cleared of deliberately throwing the ball at Samuels in an inappropriate or dangerous manner. At Durban, Dale Steyn blowed us over…….. also indulged in fiery steam war of words …. Steyn sledged Rohit Sharma stating "I've got more runs than you this series," and "You have done nothing in your career." Down under Ashes was all heat - ‘Courier Mail’ refused to print the name of Stuart Broad who took 6 wickets in the 1st test – citing the instance of his refusal to walk in the 1st test at Trent Bridge in Aug this year. The crowd at Brisbane also booed Broad and there were banners criticizing him…. All from Aussies who never believed in walking ~ their star opener David Warner bad-mouthed opponents claiming that he was England on the back foot and that they had scared eyes……….he also verbally taunted Trott – who eventually walked out of the tour. Stop, there is much more on this….and we need to be reading something pleasant !! ~ which Abel Mutai experienced. Abel Kiprop Mutai, is a Kenyan long-distance runner who specializes in the 3000 metres steeplechase. The man born in Nandi has won the gold medal at the 2005 World Youth Championships and finished ninth at the 2009 World Athletics Final. His best success is bronze medal at 2012 Summer olympics. His time was 8:19.73 minutes. He knows for sure that ‘winning is not all that counts’ …….. people can be sane and exceptionally honest and good mannered, even when things are at stake ..!! 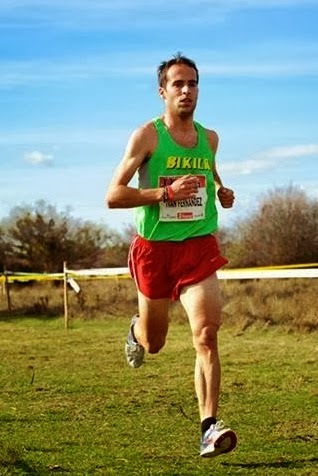 On December 2, 2012 - Basque athlete Iván Fernández Anaya was competing in a cross-country race in Burlada, Navarre. He was running second, some distance behind race leader Abel Mutai - bronze medalist in the 3,000-meter steeplechase at the London Olympics. As they entered the finishing straight, he saw the Kenyan runner - the certain winner of the race - mistakenly pull up about 10 meters before the finish, thinking he had already crossed the line. Easy chance for anybody – just remain silent and take the victory for yours…………………. Anaya did differently ! He did not win the race but certainly won hearts in the process. He had the guts to state that Mutai was the rightful winner who had created a gap that could not be closed…….. and hence he did not deserve to win. Fernández Anaya is coached in Vitoria by former Spanish distance runner Martín Fiz who however said…. "It was a very good gesture of honesty," - "A gesture of the kind that isn't made any more. Or rather, of the kind that has never been made. A gesture that I myself wouldn't have made. I certainly would have taken advantage of it to win.". Fiz recalls that at the 1997 World Championships in Athens he was followed by his countryman Abel Antón the whole way. In the final meters Antón attacked and easily won the race, having exploited all Fiz's hard work. "I knew that was going to happen. [...] But competition is like that. It wouldn't have been logical for Antón to let me win." Fernández Anaya trains in the Prado every day, putting in double sessions three times a week - when his vocational studies allow. 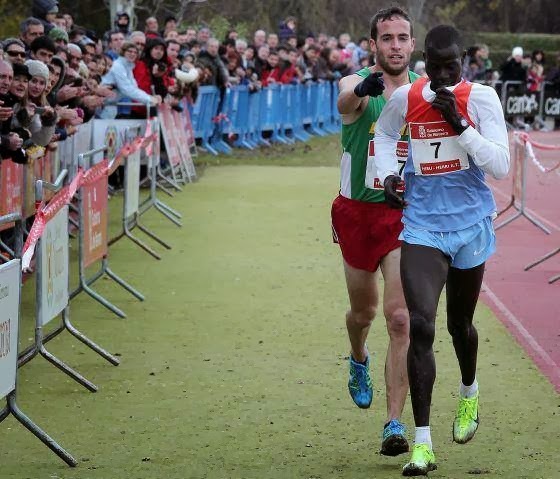 Experts say he is one step away from entering the elite of Spanish cross-country running. His goal this year is to at least make the Spanish team for the world cross-country champions. The Coach feels that the pressure is getting on to him. On Facebook, more than 500 friend requests came days immediate since the generous act, Anaya wrote on his blog.